The Consumer Financial Protection Bureau (CFPB) has undergone a dramatic shift in policy over the past four months since the resignation of its first and only director, Richard Cordray. The effects of these massive policy shifts will likely guide the agency’s actions for the next several years. Under Cordray, the Bureau often pressed an aggressive command and control agenda over the consumer finance industry, ignoring measured research and rules guidance in favor of novel legal theories that stretched the agency’s authority beyond enumerated consumer protection laws in hopes of dismantling entire sectors of the industry. In one instance, Cordray rejected centuries of established federal law governing tribal sovereignty by attempting to impose state lending laws on an economic arm of a tribe. Leading up to his resignation in November of last year, Cordray promoted a number of loyal, long-term employees to more senior positions within the Bureau, including elevating his old chief of staff, Leandra English, to deputy director. He would later make her interim director effective upon his resignation the day after Thanksgiving. Simultaneously, President Trump acted under his authority in the Federal Vacancies Reform Act to name former South Carolina representative Mick Mulvaney as the temporary caretaker of the Bureau. Less than 24 hours after Trump announced Mulvaney in his new role, English filed a lawsuit to block Mulvaney from taking over the Bureau. The Department of Justice then issued a memorandum arguing President Trump had clear authority to appoint an interim director for the CFPB. The CFPB soon thereafter announced that the agency would begin seeking public input “to ensure the Bureau is fulfilling its proper and appropriate functions to protect consumers.” The CFPB will engage with stakeholders and interested citizens by issuing a series of Requests for Information (RFI) in the Federal Register on topics concerning enforcement, supervision, rule making, market monitoring, and educational activities. 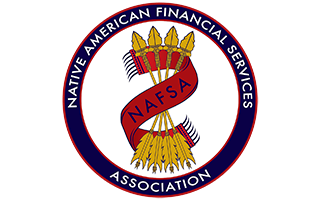 In the enforcement division, the Bureau voluntarily withdrew its case against four tribal lending entities (TLEs) owned and operated by the Habematolel Pomo Tribe of Upper Lake according to papers filed in the U.S. federal court for the District of Kansas. President Trump presented his proposal for the federal government’s FY 2019 budget on February 12th. One agency where the President sees spending cut opportunities is with the CFPB. The 2019 budget could shift CFPB operations under the Congressional appropriations process with the agency’s budget shrinking $6.4 billion over the next ten years. How did other federal and state regulators react to the CFPB’s reduced budget and drastic change in enforcement and operational policies? Inside the CFPB, many of the career employees and Cordray holdovers began to quickly voice distaste for the amended priorities of the new director. A group of CFPB staffers have established their own rogue resistance movement called “Dumbledore’s Army,” sending encrypted messages about subverting directives from the new leadership team. A group of 18 state and Washington, D.C. attorneys general filed an amicus brief to the D.C. District Court supporting the CFPB’s Deputy Director Leandra English in her suit against interim director Mick Mulvaney. The state AG amicus joins consumer advocacy groups and a large cadre of current and former members of Congress in briefing the federal court on the battle over who will temporarily oversee the CFPB until a permanent director can be confirmed. At the same time, attorneys general in a number of states like California, New York, Connecticut, Illinois, Minnesota, and New Mexico joined together in a letter to President Trump expressing their interest in progressing the mission of the Bureau. Following the massive security breach at Equifax over last summer that caused sensitive information for almost 150 million Americans to leak, reports surfaced recently that Mulvaney was dragging the agency’s feet on investigating, and ultimately punishing, the credit bureau for the cybersecurity failure. Instead, the state of Massachusetts brought suit against Equifax for the breach. Maria Vullo, Superintendent of the New York Department of Financial Services (NYDFS), issued a press release on January 25th vowing to “safeguard the financial services industry” and “continue to lead and take action to fill the increasing number of regulatory voids created by the federal government.” New York is no stranger to controversy when it comes to financial services regulation. A federal judge recently dismissed a lawsuit by NYDFS as speculative after the state agency challenged the FinTech charter system proposed by the Office of the Comptroller of the Currency. Vullo had previously stated that her goal was to make New York the financial regulatory measuring stick for America. Two federal agencies have also stepped up to use their regulatory authority to punish financial fraud and negligence within the industry- the Federal Trade Commission (FTC) and the Federal Reserve. Senator Mark Warner (D- VA) has asked the FTC to investigate the cybersecurity protocols for major credit bureaus like Equifax. Wells Fargo, the embattled bank with numerous fines over the past few years for a number of egregious behaviors, continues to find itself in the news for its fraudulent activities. As one of her last actions as Chair of the Federal Reserve, Janet Yellen ordered that the bank replace 4 board members and limit the financial institution’s growth until better controls are instituted. Moving forward, consumers, state officials, and federal regulators will likely need to grow accustomed to the new look CFPB. The D.C. Circuit Court recently upheld the constitutionality of the agency’s single director structure, meaning Mulvaney and his successor will benefit from the same independence as their predecessor, Richard Cordray. Mulvaney is now encouraging state regulators to enforce federal consumer protection laws and pick up more responsibility under the new policy priorities at the Bureau. Hopefully this new shift will renew respect for tribal sovereignty and economic self-determination.